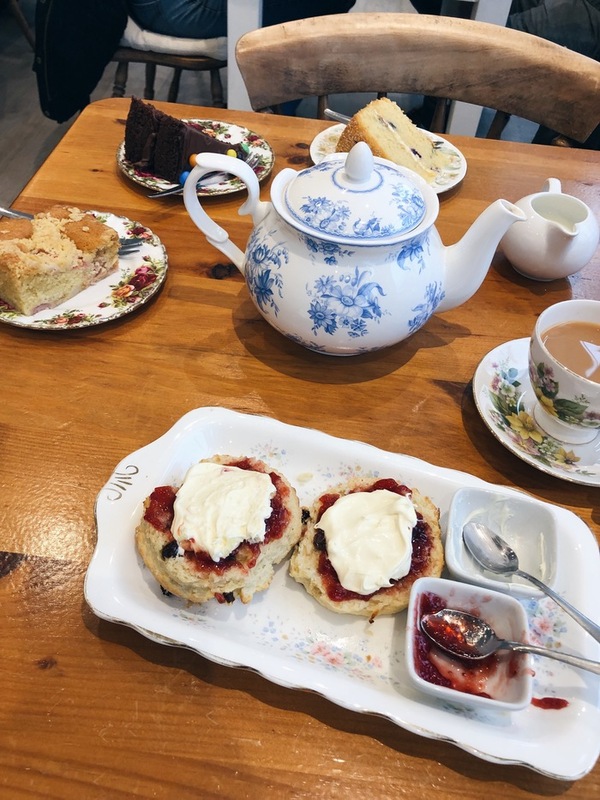 Aaaah, today's cream tea post is a bit of a special one because Kettle & Cake is where I spent the afternoon of my 21st birthday. 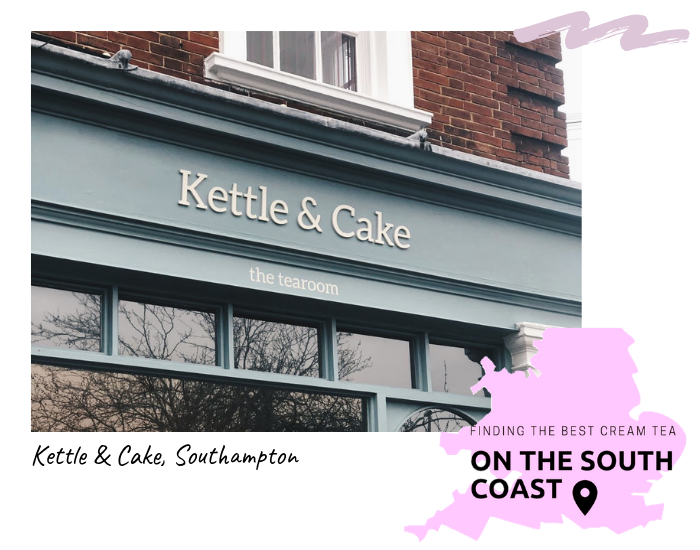 After a hefty scroll of google I came across Kettle and Cake and as soon as I saw the photos of the cakes I knew I had to visit. The scone (yep, there was one) was delicious. It was really crispy on the outside but really soft on the inside. I opted for the fruited scone, as always, and it really didn't disappoint. I also had a slice of the rhubarb crumble cake and, oh my, it was INCREDIBLE. Potentially even better than the scone which really is saying something. Plenty of cream for the scone, no qualms here! The cream tea at Kettle & Cake is £4.99, and, unsurprisingly, came with a pot of tea, a scone, jam and cream. The afternoon tea (which the girls had) comes with sandwiches, a slice of cake as well as all the usual cream tea components and is £12.50. I personally cannot stand sandwiches but apparently, they were delicious. The decor was really really nice at this tearoom! It was fairly simple but had so many lovely touches. Each table had a vase with a few fresh flower stems and all of the food came out on pretty floral china. 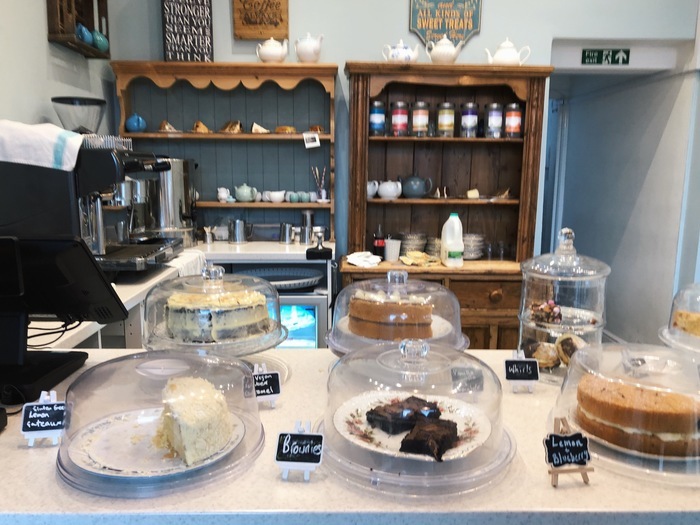 This tearoom is located in Hedge End, in Southampton, which, is about a 20/25 minute drive from West Quay, so is not quite in the usual tourist part of the city. 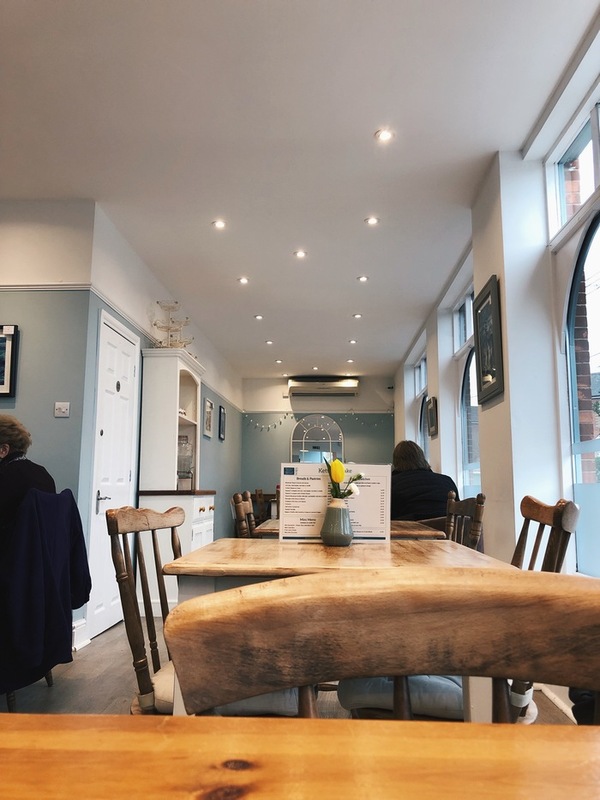 Of all of my criteria, location is the only one that lets this tearoom down - location aside, it's scoring very high marks indeed. This place looks beautiful. I've never actually been to Southampton but if I do go I'll be sure to check them out. 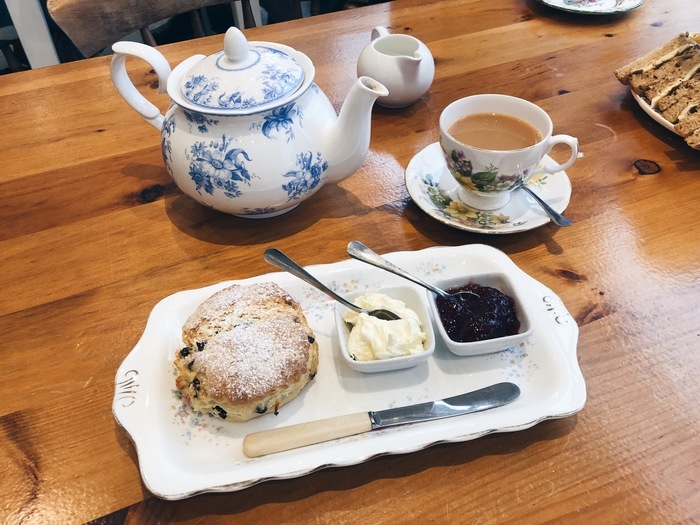 You can't beat a cream tea! The scone looks delicious, ahh I love this series Becca!